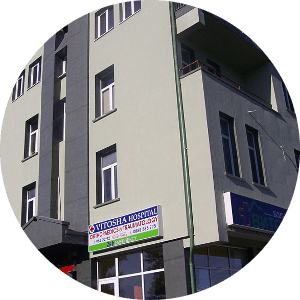 Vitosha hospital is a specialised orthopedic and traumatology hospital with 15 years of experience in Reconstructive orthopedic surgery and Orthopedic trauma. Vitosha hospital is located in a diplomatic district of Sofia city with a beautiful view to the mountain of Vitosha. Recently, it has been thoroughly renovated. Vitosha is a boutique private hospital with limited access for outside visitors, thus providing high security level to some VIP patients. The limited numbers of patients are taken care of by highly motivated staff. Our staff cooperate to make patients feel special, and provide top quality medical and health services with very good results in the post-op recovery. The late rehabilitation program is held in the ancient SPA town of Hisarya with many cultural events involved in the program during the stay. Are you looking for affordable and high quality medical services in a boutique private hospital?Do you want to enjoy the unique, beautiful nature and ancient culture of Bulgaria at the same time? For comprisal, the prices for Hip/Knee replacement in US hospitals range from $40,000 to $90,000 and the price for leg lengthening is about $110,000. The price for Hip/Knee replacement in most EU countries varies, ranging from £9,500 to £15,000 in the UK; £16,000 to £23,000 in Germany; £8,000-£13,000 in Turkey; £8,000-£11,000 in Spain; and about £8,000 in Poland or Czech. Our price for Hip/Knee replacement in Vitosha Hospital is £4,670.00 ($6,190.00), thus you can save about 60% of the costs, receiving a high quality treatment in an EU specialized orthopedic hospital. Furthermore, our price includes the full range of surgical and rehabilitation treatment, not only the surgery and a few days’ stay. Our price for Leg lengthening is £11,500.00 ($15,200.00) for both legs. Thus you can save 300 % of the costs in UK or Germany. Our hospital care is targeted to patients from the USA and other countries, who are looking for affordable and high quality medical services or who are unwilling or not able to wait for years to underwent surgery in their own countries. We offer hip/knee replacement in a hospital in the European Union with the highest health care quality provided according to all European health standards. hospital stay for 18 days with rehabilitation until stitches are removed and the patient is able to walk independently with crutches, able to walking stairs, able to take care of himself/herself, and able to fly by plane. Our goal is that after a 45-day stay the patient will be able to leave Bulgaria walking independently with canes. Hospital stay in Vitosha Hospital with regabilitation for 18 days (£75/day). The goal is for the patient to be discharged from hospital with stitches removed and well rehabilitated (can walk independently with crutches, can walk stairs, and can take care of himself/herself), depending on the patient’s abilities and pre-operative condition. Patients can fly back to the USA or the UK, but they are still not able to go back to work and need further rehabilitation. The goal is that the patient can leave Bulgaria moving independently with the help of canes, depending on the patient’s abilities and pre-operative condition. Premium PLUS Hip/Knee replacement package: surgery and a hospital stay with early hospital rehabilitation for 18 days (Premium Hip/Knee replacement package), plus further Post-Op rehabilitation for 27 days in a rehabilitation SPA-centre in the town of Hisarya plus 12 cultural events included. Hisarya (Diocletianopolis) is an ancient town and SPA centre with 22 mineral springs. Hisarya boasts a large Roman fortress and other ruins form the Thracian civilization and the Roman Empire. 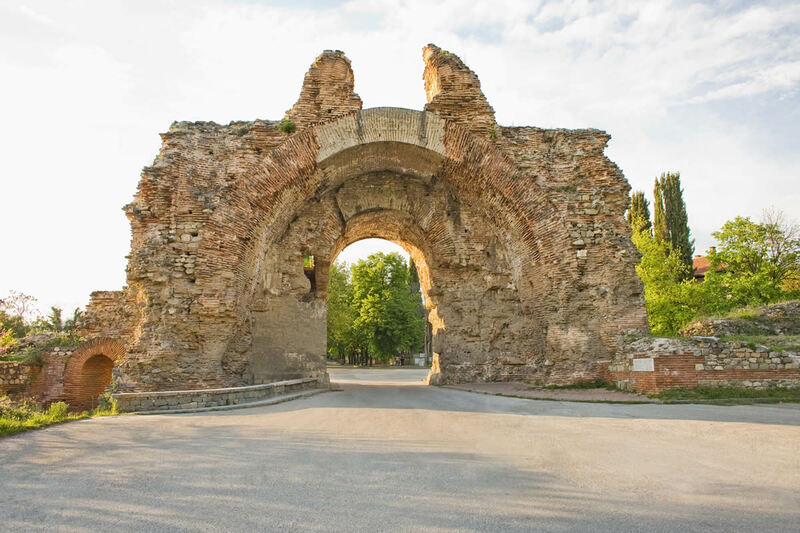 Hisarya is 45 km north of Plovdiv, the cultural capital of Bulgaria with many museums, theatres, opera, and many ancient Roman ruins. The capital Sofia is about 120 km west of Plovdiv and is also a great cultural and touristic destination. The ancient Thracian temple and king’s thumb – mausoleum in Starosel is located at a distance of just 10 km to Hisarya. It is the largest of its kind. The temple, as well as the nearby Thracian king’s residence date back to the reign of Amatokos II (359-351 BC).